Original Club, North Shore Sailing Club, was formed in 1895 but we know that Gladys (a 5 metre, 1.5 rater) raced with NSSC from 1895. The first Regatta was held in 1840. Two NSSC yachts took part in the 1895 Regatta, Volunteer and Viking and two days before NSSC yacht Gloriana came second in the Judge’s Bay Regatta. 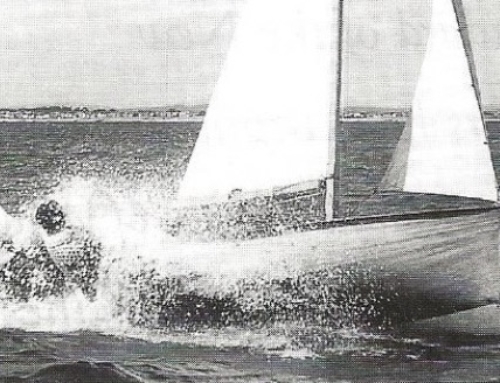 First over the line in 1897 was Zinita ( an NSSC 37 footer which was owned by James Dunning, originator of The Dunning Cup which is now awarded for the overall winner of each year’s Cruising Series). Heartease ( a 36ft NSSC yacht launched in 1897) won in 1898. So, for Auckland Anniversary 2016 we wish you fair winds and great sailing. Marian Harkness on (09) 524-4968 or calimex@clear.net.nz.